Cricket minnows Canada have no intention of being the whipping boys of the World Cup and are determined to cause upsets and advance to the second round, skipper Ashish Bagai said on Thursday. Canada are in Group A along with Sri Lanka, Australia, Pakistan, New Zealand, Zimbabwe and Kenya in the 14-nation February 19-April 2 tournament to be hosted jointly by India, Sri Lanka and Bangladesh. After warm-up games against Bangladesh on Feb. 12 and England four days later, the Canadians open their campaign against Sri Lanka at the new Mahinda Rajapaksha International Cricket Stadium in Hambantota on Feb. 20. "Beating Zimbabwe and Kenya, and an upset against other four teams is our goal," New Delhi-born Bagai told a news conference hours after arriving in Dhaka from Dubai. "We discussed our expectation and goal as a team internally. If we don't have that I don't think there is any point to come into the World Cup," he added. Canada had a decent bowling attack in Henry Osinde and Khurram Chohan while John Davison brought some much-needed experience at the top of the order, he added. "Also we have got some young guys this time around. Three Under-19s (Hiral Patel, Ruvindu Gunasekera, Nitish Kumar) at the top of the order of batting, they are a little bit inexperienced but very exciting players. "And then we have Rizwan Cheema in the middle of the order. He has done very well for us for the last couple of years and you know those guys will have some responsibility," Bagai said. 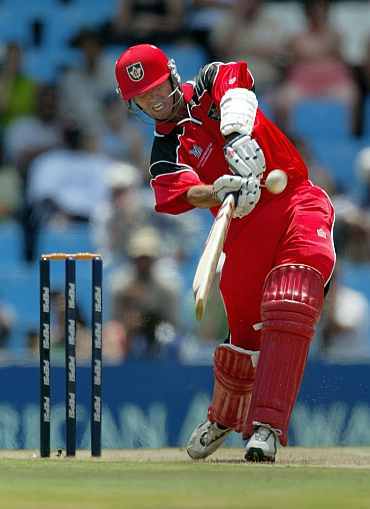 Canada's best moment in the World Cup came in 2003 when they defeated Bangladesh, a win they still savour. 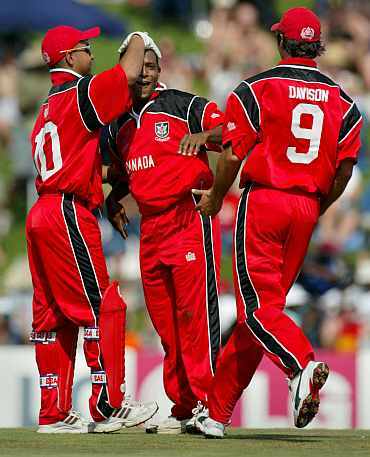 "For Canada it was a very special match, our first win in an ODI and in World Cup. We have, myself and John Davison, made all three World Cups and we always remember that match," said Bagai. The new stadium in Sri Lanka added another element of uncertainty to the game against the co-hosts, he added. "It's a new venue, even they don't know what to expect, so it's going to be tough ... If we can get through couple of their bowlers we have a good chance," said Bagai.